Through Facebook, 9 Works Theatrical proudly reveals their upcoming show for 2012 season. 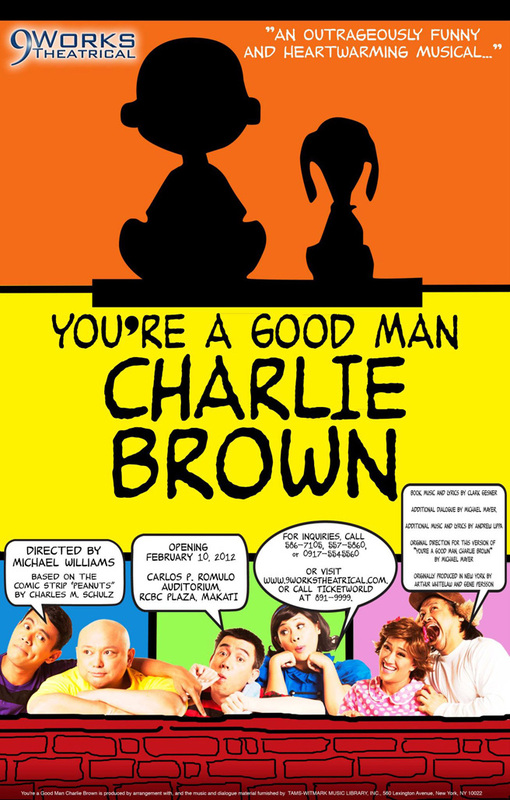 After the success of previous staging of Rent, The Wedding Singer and Sweet Charity, they are now ready to take the stage once again with the outrageously funny but heartwarming 1967 Clark Gesner classic musical comedy You're a Good Man Charlie Brown. 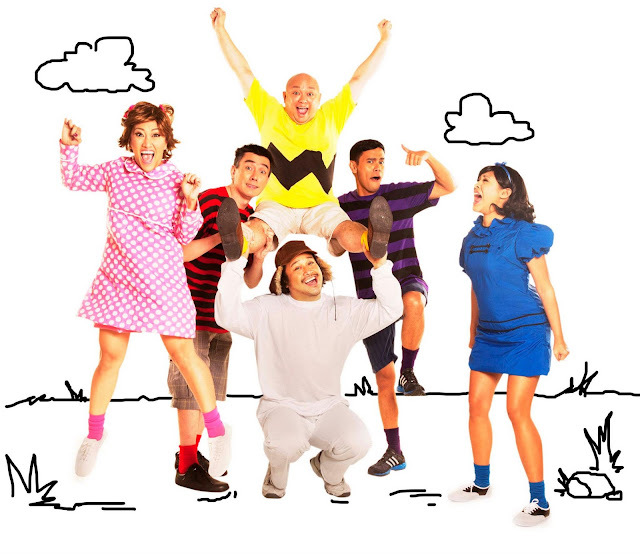 Cast includes Tonipet Gaba (Art Angel) as Schroeder, Carla Guevara-Laforteza (Rent) as Lucy, Mio Infante as Linus, Sweet Plantado (The Company) as Sally, Lorenz Martinez (The Sound of Music) as Snoopy and Robbie Guevara (The Sound of Music) as Charlie Brown. Since Robbie will be taking center stage this time as the title role, he now passes the duty of direction to his other colleague in the industry. And that is none other than Michael Williams who's currently playing Captain Hook on Repertory Philippines and STAGES' Peter Pan. Based on the youtube videos of "Charlie Brown" performances, it seems that the show will be having the same comedic tone like Avenue Q but of course without the adult humor. It's been a while and I'm craving for something like this. Also I'm really curious with Tonipet, Sweet and Mio since I haven't seen them act on stage before. Looking forward to see You're a Goodman Charlie Brown next year. Coming on February 10, 2012 at the Carlos P. Romulo Auditorium, RCBC Plaza, Makati. For inquiries call 9 Works Theatrical at 5867105 or TicketWorld at 8919999. 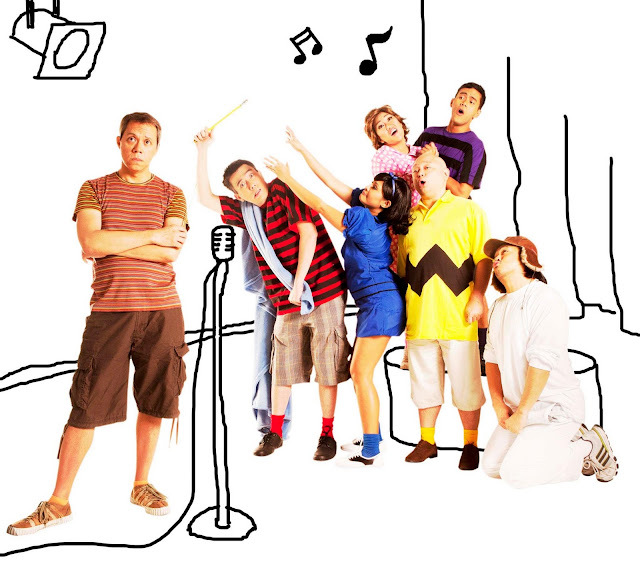 Ticket Actors is selling tix for the MARCH 2nd; 8:00pm show of “You’re a Good Man Charlie Brown” by 9 Works Theatrical. For tickets to March 2, 2012, email ticketactors@gmail.com or text 09157161459.